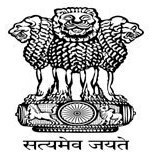 West Bengal Public Service Commission (WBPSC) has just published an official notification for the recruitment of Sub-Inspector in the subordinate Food & Supplies Service Grade-III under Food & Supplies Department, Govt. of West Bengal. We are providing here the detailed scheme and syllabus of the exam. 1) Written Examination: The written exam will be of 100 marks in total. The questions will be objective in type on General Studies (50 marks) and Arithmetic (50 marks). Total time you will get is 90 minutes i.e. 1 hour 30 minutes. 2) Personality Test (Interview): After qualifying the written examination, a limited number of candidates will be called for the interview. The interview consists of 20 marks. Final Merit List: The final merit list will be prepared based on the total marks obtained in written examination and interview. 2) Arithmetic : Questions will be based on syllabus of Madhyamik exam of WBBSE. Few questions will be from Mental Ability. So aspirants, hope you have got an idea about the syllabus. Now start preparation from now and give your best to crack the exam. If you have any query, feel free to ask us here as comments. 0 comments for " Syllabus of WBPSC Food & Supplies SI Exam "